Description: Beadalon Econo Series 7-Piece Tool Kit with Zip Pouch features Chain Nose Pliers, Round Nose Pliers, Wire Cutters (with blue colored handles), Tweezers, a Bead Scoop, Snips, and Six Modular & Stackable Containers all zipped into a handy storage pouch. Store various findings and beads in the Stackable Containers. 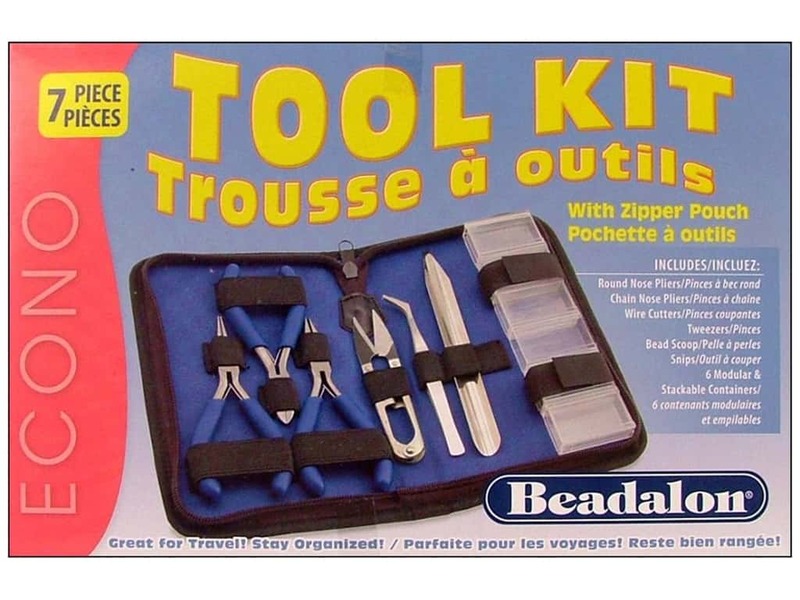 Beadalon Tools Kit with Zip Pouch 5.00 out of 5 based on 2 ratings. 2 user reviews.